Tuesday, Thursday, Friday | 10:15 a.m.–12:15 p.m. This program has been cancelled for Thursday, April 18, 2019 due to inclement weather. Explore plants and use real science tools alongside Discovery Docents at our hands-on activity stations throughout the Discovery Garden. This is a drop-in program for schools and families with children of all ages. Free with Garden admission. All programs are outdoors and canceled in inclement weather; for cancellation updates, visit this page. 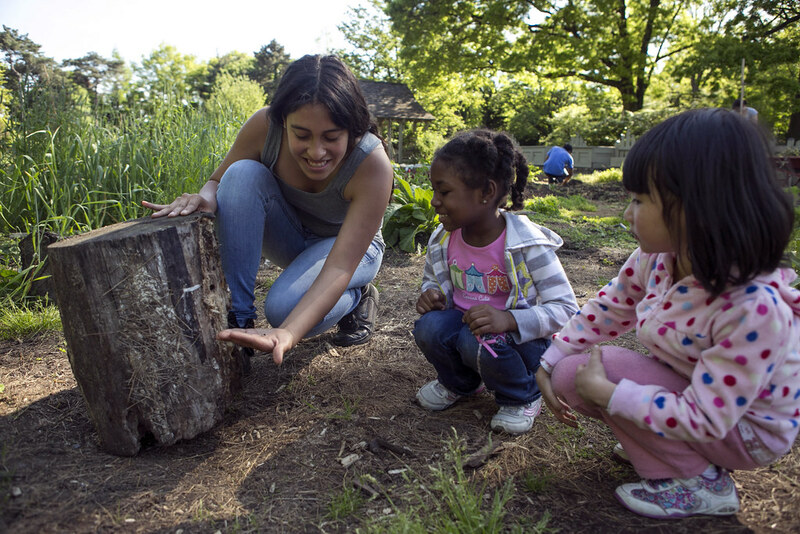 Discovery programs for children of all ages will invite kids into deeper exploration of the new Discovery Garden's rich web of plant and animal life. Photo by Caroline Voagen Nelson.